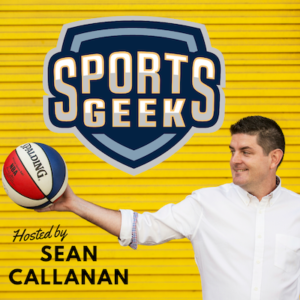 In episode 4 of the Sports Geek Podcast I catch up with Manly Sea Eagles and NRL player George Rose to get an athlete point of view on social media and his take on the current social media discussion on racism. We also go back in the ABC Grandstand archives as Francis Leach and I chat to Chris Zeppenfeld from the Charlotte Bobcats about CRM and ticket sales. Very pleased to see it profiled in New & Noteworthy in iTunes and we've passed the 500 downloads mark with new listeners each week. This podcast was picked up by ABC 24 to profile George Rose and athletes using social media.